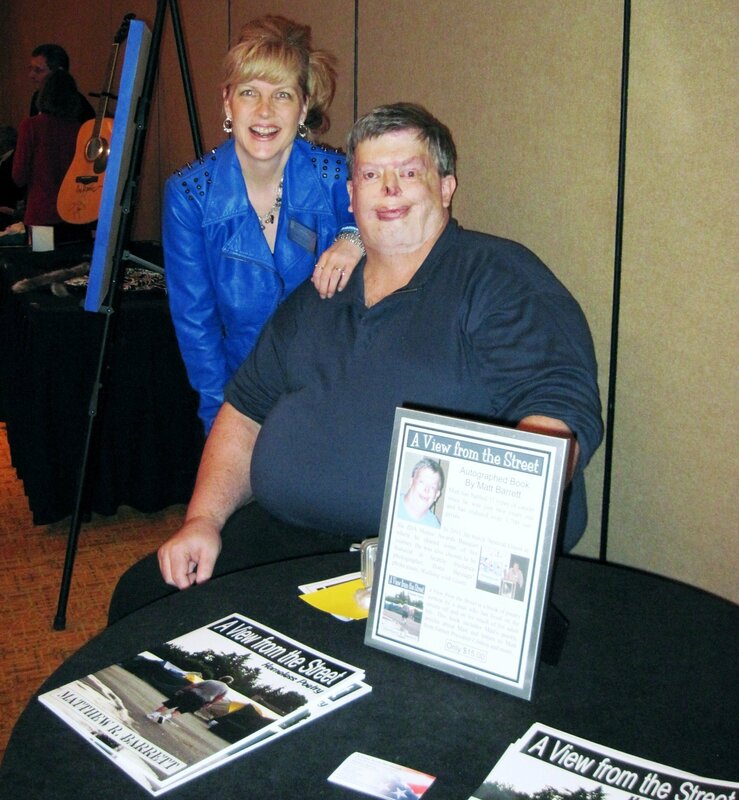 Meet Matt Barrett, a “Walking Miracle” in Denver on October 24th. Matt will be autographing his book, A View from the Street. Matt Barrett has lived a life most could never imagine. Matt has battled 11 forms of cancer and four brain tumors since he was just two years old. 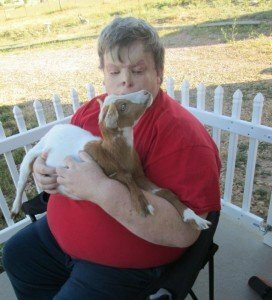 As if that were not enough, because his face and body are disfigured by over 1,700 major surgeries, strangers have called him a monster, children have hidden behind their mothers, and store managers have asked him to leave the premises. It is such a travesty when people are quick to judge Matt from the outside, because they are certainly missing out on getting to know this amazing person. Animals sense Matt’s gentle spirit. Despite a lifetime of fighting cancer, being homeless off and on for most of his adult life, and enduring excruciating pain on a daily basis, Matt remains a giving and loving soul. Ask anyone who knows Matt and they will tell you he is a “Gentle Giant.” At 6 foot 4, over 300 pounds with a love for others as big as he is, his nickname seems fitting. People on the streets don’t have a clue what they are missing when they fail to talk with this man and give him the respect he deserves. Those who hear about Matt’s journey are not only amazed, but inspired to be more appreciative of what they have. For decades, doctors have called Matt a “Walking Miracle!” He has lived many, many years beyond anyone’s expectations. This has allowed him to continue his purpose in making this world a better place. 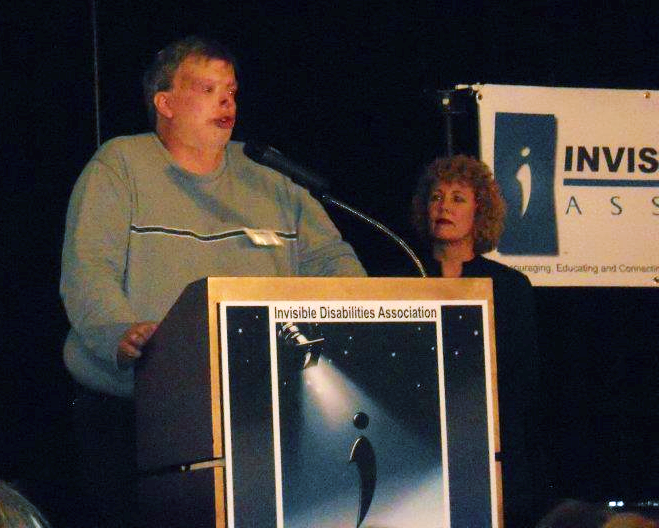 In 2011, Matt received a standing ovation as a Special Guest Speaker at the Invisible Disabilities Association Awards Banquet where there was not a dry eye in the house. Today, Matt was named an IDA Ambassador! He has advocated for the homeless, disabled and those living in poverty. 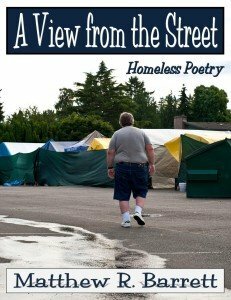 He has written a book of poetry and writes a blog called, A View from the Street. 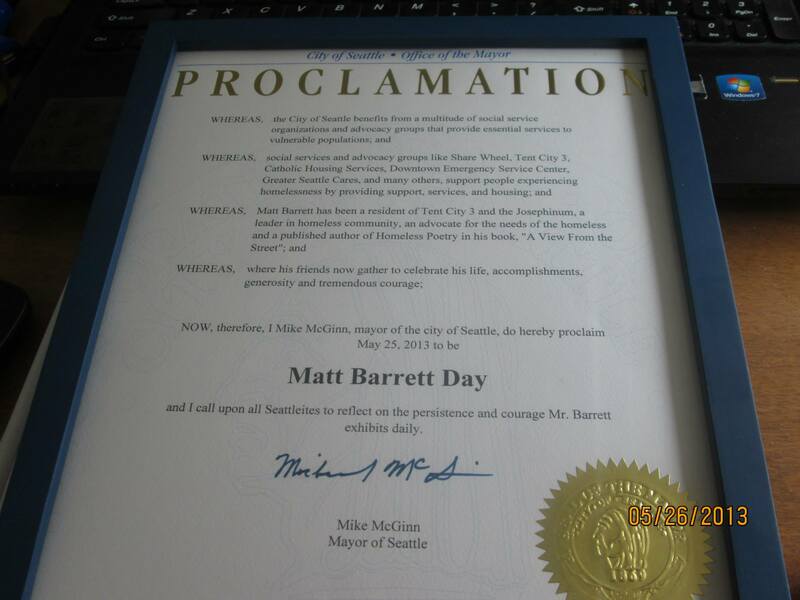 Seattle Mayor, Mike McGinn proclaimed Matt Barrett Day on May 25, 2013, the day of his Celebration of Life event, organized by Matt’s friends. Seattle freelance photographer, Ilona Berzups, did a photo essay on Matt titled, Walking with Giant. A recent article by Martha Kang: Lifelong battle with illness claims man’s face, family but not his spirit, has brought Matt’s story to life for his Seattle community. Not only that, the article was recently picked up by the Associated Press. Although Matt has beaten countless odds, Matt’s prognosis is not good. Many doctors have told him he only has a matter of months or just weeks. Thanks to the people who have rallied together to raise the funds, Matt’s wish to travel back to Denver for the 2013 Invisible Disabilities Association Awards Banquet is coming true!